Our class is officially “done” with all of our math units. Our state assessments are four weeks away, and I have 52 eyes staring at me during math time waiting on some glorious lesson. What’s a girl to do? Review, that’s what! When reviewing math concepts I feel teachers have multiple choices: hands-on materials, math games, worksheets, and the list goes on and on. Today, we went all the way back to the beginning of the school year and reviewed addition. The students had a review sheet to complete on GoodNotes (yes, we do regular review sheets too!). Then, they had to create a lesson that explained two concepts. First, multi-digit addition with carrying. Second, adding numbers that contained decimals. I made a list of different apps that they could use to complete their mini-project and asked the class if there were any additional apps they wanted me to add to the list to use for their in-class project. Doodle Buddy was suggested and we were on our way to having math class. Our new math teacher- Mary! While the students worked away in the front of the classroom, I pulled a small group to the back to work on some concepts they were currently struggling with. Thirty minutes later I asked the classroom if anyone had a completed lesson to show the class on addition and multiple hands went up. I inspected their work, and it was fantastic. 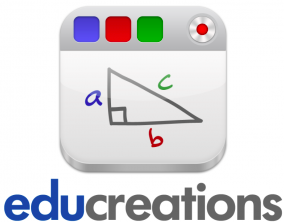 Two students created a lesson on Educreations. This app works like a whiteboard, but the students can record their voice and explain what is being shown on the IPad. One student created an Educreation project that lasted five minutes. 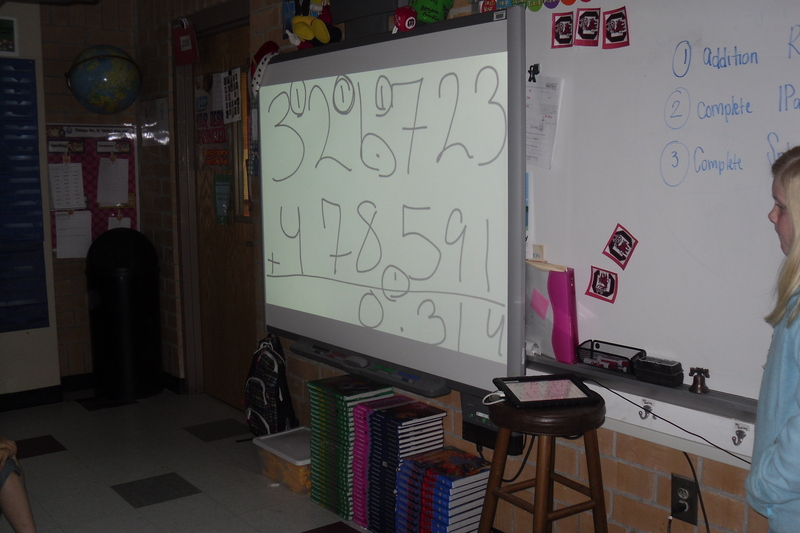 At first, I was hesitant to share a five minute student lesson on the Smartboard with the whole class because I thought the students would lose interest. I ended up allowing Mary to share her presentation, and my class began following her lesson. While she explained a problem on her Educreation app, the students interacted with her lesson! “Well, first you have to add your one’s place. One plus five is….,” we hear from Mary’s IPad. The class responds with a resounding, “six!” The class interacted with her lesson until I had to cut them off for our recess to begin. Mary’s lesson on her Educreation app ended with a round of applause from the classroom. Mary’s presentation showed me that not only can she complete an addition problem correctly, she can also create, explain, and teach her peers to complete addition problems as well. 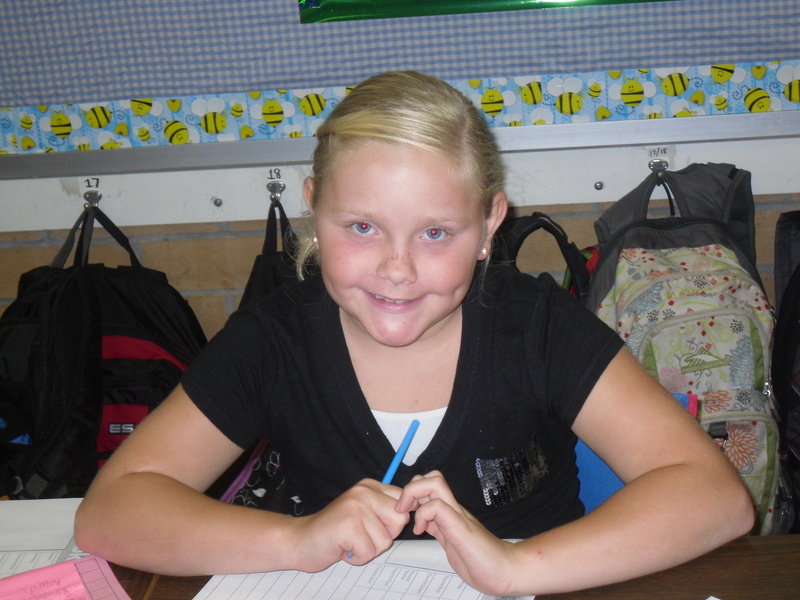 I guess summer couldn’t come soon enough because I have a new math teacher on my heels, and she is only 10 years old! « It’s not the WHAT you have, it’s the HOW you use it!